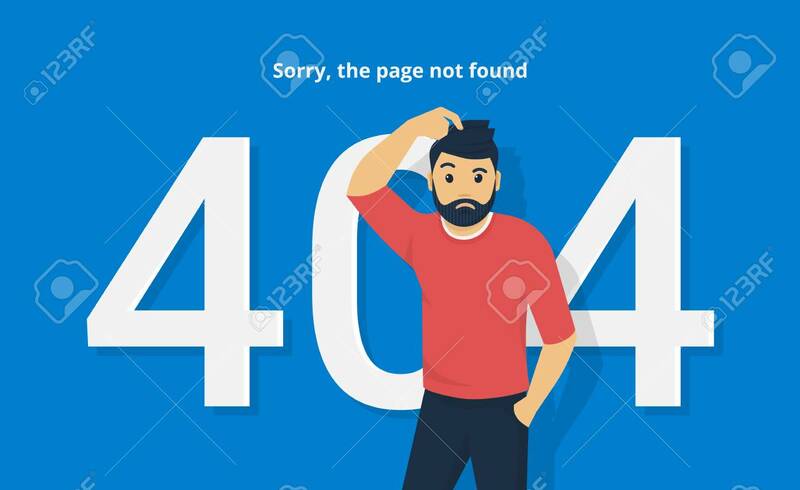 404 Error Concept Vector Illustration Of Sorry Man Standing Near Page Not Found Symbol. Flat Confused Man And White Characters 404 On Blue Background With The Text Describing Problems With Website Lizenzfrei Nutzbare Vektorgrafiken, Clip Arts, Illustrationen. Image 110254699.